How about living in a tent on own rural land. What, that’s crazy! Maybe not. 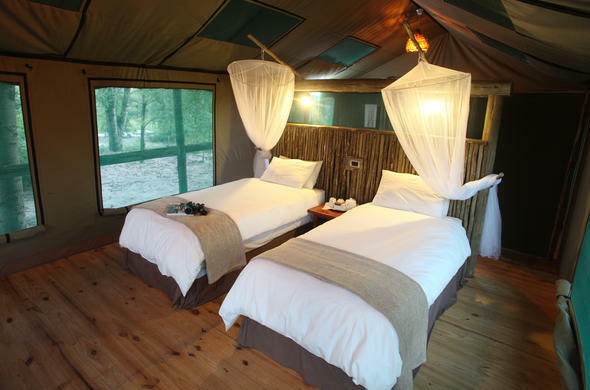 Tents on platforms create practical and comfortable dwellings in both cold and hot climates, many are used in Africa game lodges. North of the I-40, in Northern Arizona there are some very special parcels of rural land in mile-high juniper/pinon woodland. It would be perfect to erect platform tents as homes on this rural Northern Arizona land. Last year I stayed at one in Nata Lodge near the Nata Bird Sanctuary in Botswana, Africa. I thought, “oh no; I’m too tired for a tent”. See earlier blogs in this series on alternative homes, teepees, and yurts.